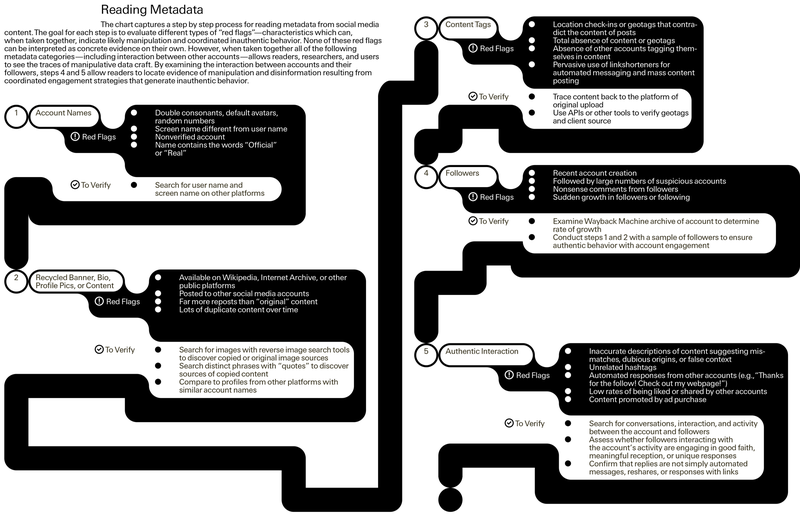 “Data craft” is the term Acker coins for all those “practices that create, rely on, or even play with the proliferation of data on social media by engaging with new computational and algorithmic mechanisms of organization and classification.” Data Craft elucidates what metadata is, how users create metadata, and how metadata is used by platforms. Bad actors typically manipulate “platform activity signals” like usernames, profile handles, bio fields, post dates, and follower counts. Acker unveils the “craftwork” of manipulating metadata with three case studies that focus on Instagram accounts of government representatives; official U.S. Government Twitter accounts; and Facebook ads purchased by the Russian-based Internet Research Agency. Acker argues that understanding data craft is integral to identifying and combating disinformation campaigns, as data craft often allows disinformation campaigns to go undetected – especially by automated content moderation algorithms. 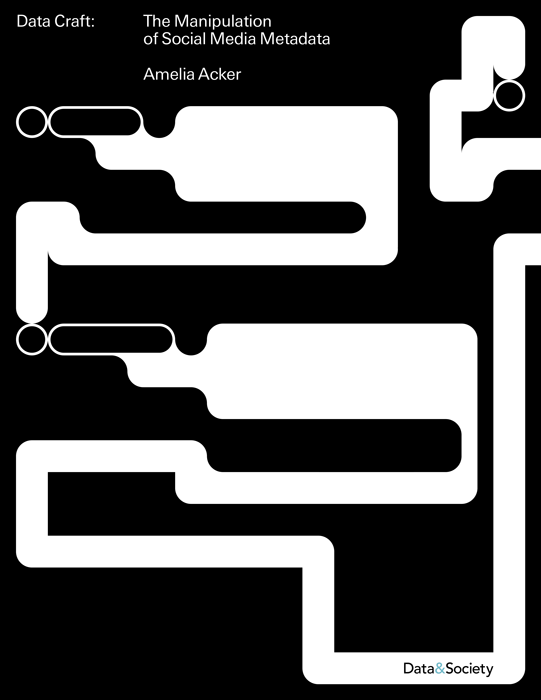 Intended for internet researchers, technology companies, and other stakeholders strategizing to combat disinformation, the report leaves readers with a concrete understanding of metadata’s role on platforms and avenues to identify vulnerabilities and hold platforms accountable.